He will be remembered as a Socceroo and a Toffee first but scroll down a little bit and Tim Cahill is a Red Bull too. The colours and the Bull never really looked right on Cahill, but he had some exquisite moments, an exquisite season, and paved the way for Australian soccer players to enter the MLS (even if that path hasn’t since been walked down too frequently). That exquisite season was 2013, when he led New York in scoring and was named the team’s MVP. All the Cahill magic was on display that year: the ecstatic, violent, majestic vertical leaps, the crunching and then deft headers, the opportunism in the box. Whether it was the huge, awkward frame, the total lack of flash in his game or the fact that he’s a long human named Longley, who knows, but Luc Longley doesn’t get the respect he should from newer NBA fans. Longley was a trailblazer, the first Australian in the NBA. He came in with pedigree – a seventh overall pick – then struggled, then became the starting center on maybe the greatest team in history. The lazy casual might remember Longley as not especially memorable. Aesthetically, maybe they’re right, but the resume speaks for itself: a three-time champion on one of basketball’s most iconic teams and an historic figure in Australian sports history, however awkwardly the shot looked and the legs moved. Balfour was everything you wanted a closer to be – fire in his arm and his eyes, a madman with fury harnessed in a fastball. Balfour was the type to stare hitters down and yell at them to sit back down and then have the talent to make them do just that. He was instrumental in Tampa Bay’s run to the World Series in 2008, when he emerged as one of the best relievers in the game. Back then, he was all heat – relying on an electric fastball. As he aged, the fastball cooled, but the eyes stayed crazy, and he continued to thrive on subtler, off-speed pitches. The explosiveness of his peak and the longevity of competence make him the best Australian baseball player to make the Majors. Imagine if LeBron James knew who Dylan Shiel was. Ben Simmons is probably the closest we’ll likely ever get to that. 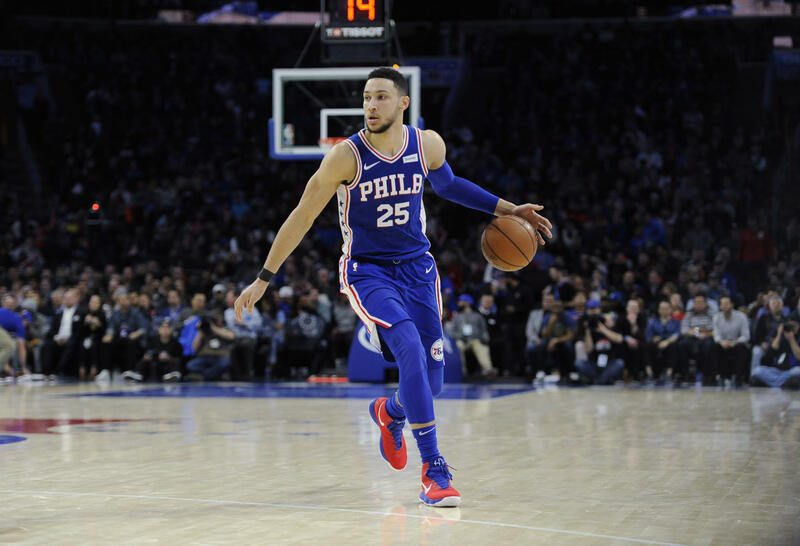 In the open court at least, Simmons is basketball’s nearest facsimile to LeBron, hulking but smooth, imposing through power, pace and intelligence. Simmons is an imperfect player, but he’s perfect in so many areas that his weaknesses have a habit of seeming insignificant. At the wrong times, though, the weakness – the complete lack of a jump-shot – consumes everything, however briefly. If Simmons learns how to shoot, he might become the best player in basketball. If he doesn’t, barring injury, he’ll still end up as the greatest men’s basketball player in Australian history. Some stars are made special by fitting so seamlessly into their surroundings, others are by looking completely incongruous to everything going on around them. 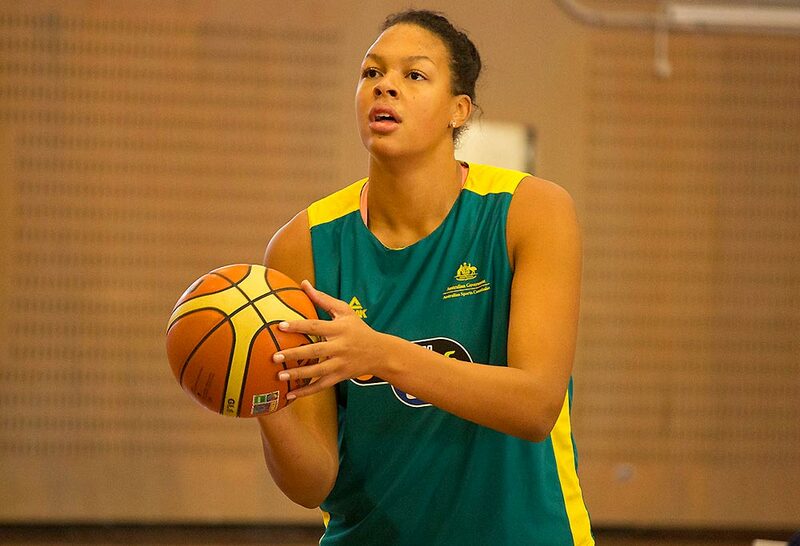 Liz Cambage is the latter, a ridiculous force of size, strength and skill so dominating that it looks like she belongs playing in a better competition, except there is no better competition. 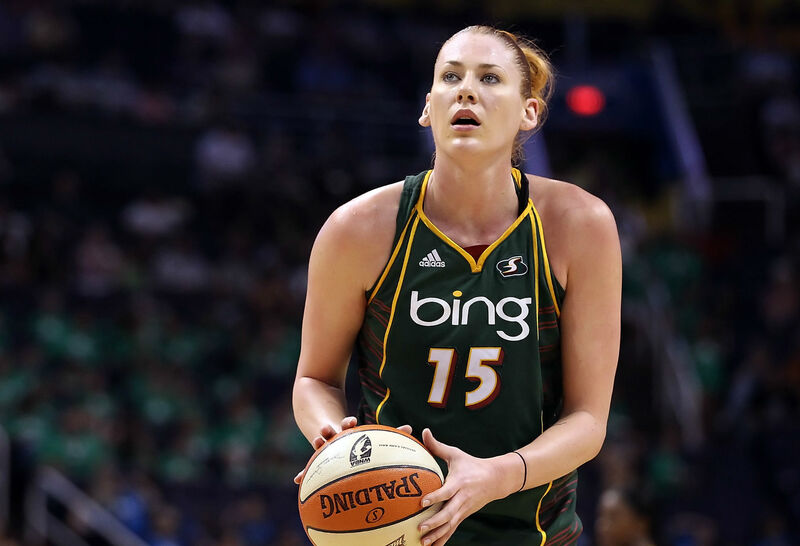 Her WNBA history is complicated, but she’s ruled the court when on it, leading the league in scoring last season and putting up elite rebounding and block numbers. She’s suffered through homesickness and personal difficulties transitioning to the States, but her ability to do what she’s done in the league despite this is a testament to her absurd, punishing talent – perhaps the most overwhelming talent in women’s basketball. Sam Kerr is too great for her stage. Playing for the Chicago Red Stars in the NWSL, she regularly plays in front of crowds of no more than 4,000 people. But her skills warrant an audience ten times that – her scoring is as diverse as it is pure; clinical then artistic. Ferocious with her head and deft with her feet, she channels Tim Cahill and then Tim Cahill’s second goal against Japan in the World Cup. The accolades are building – MVP, Golden Boot and the record for most goals in NWSL history, with daylight between her and second. Outside perhaps of a perfectly-timed, bone-crunching tackle, there is no sweeter, purer, more cathartic feeling in Australian football than making ideal connection with a booming kick. Fittingly then, it’s that connection that has carried Australians into the NFL. Ben Graham and Sav Rocca are the most well-known to newer generations, but Darren Bennett came before them and set a standard that hasn’t been equalled yet. A two-time Pro-Bowler and All-Pro for the San Diego Chargers and the First-Team Punter on the NFL’s All-Decade Team of the 90s, Bennett was the best in the game, adept at both distance and placement. 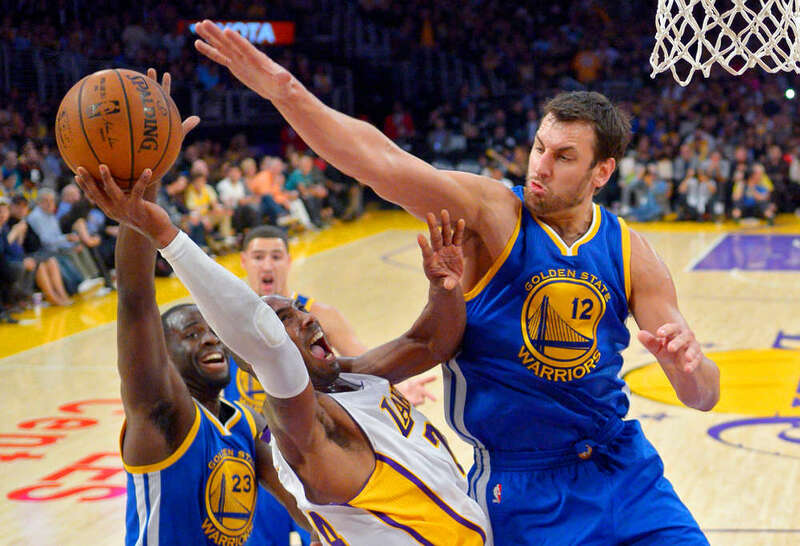 Was Andrew Bogut a disappointment in the NBA? Through the lens of a first overall pick expected to be a long-term franchise cornerstone, Bogut was a bust. Only in 2009-10 did he flirt with that stature, posting a 16-10-2 line with 2.5 blocks, earning All-NBA Third Team honours. That season, though, was derailed by a freak injury, as much of Bogut’s career was. But get past the draft-pick infected expectations and Bogut’s career can only be considered a success. He was an elite, genius defender, a marvellous passer and wizard in all of basketball’s dark, shoving arts. He was an integral part of a championship team and a meaningful part of one that set the NBA record for wins. Simmons will overtake him, but for now Bogut is Australia’s greatest ever NBA player. Taken 10 picks after Lauren Jackson in the 2001 draft, Taylor has always existed to some degree in Jackson’s shadow. But Taylor crafted her own path, winning three championships (one more than Jackson) and making three All-Star teams. She was a complete player, an elite three-point shooter, crafty mid-range pull-up artist, and capable defender and passer. In 2007, Taylor reached a peak few others have, winning a title and being named to First Team All-WNBA while averaging 18 points per game. The all-time greats are all science experiments. They feel unreal, perfect to the point of artificial and contrived. Lauren Jackson was designed in a lab to play basketball. Imagine if the best scorer in the league was also the best defensive player and also the best rebounder. Imagine if the game’s most dominant interior presence was also an elite shooter from three who lived at the line and knocked down her free throws. Jackson was all that – a player as rounded as the ball she played with, an impossible mix of everything. She is the country’s greatest ever basketball player, conqueror of Albury then Australia then America.